Mircea Badea was born on February 24, 1974 in Bucharest, Romania. He is a famous Romanian actor and tv presenter. After finishing "Liceul de Informatica" from Bucharest he attended the Faculty of Cybernetics. 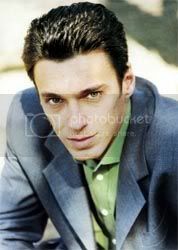 Mircea Badea started his career with a collaboration with Tele 7 abc and after that he got a lot of proposals from a lot of televisions. In his career he worked for : Antena 1, Realitatea TV, Pro TV, Prima TV and finally he returned to Antena 1 for a TV Show named "In gura presei". He returned to Antena 1 because he likes very much reading newspaper and commenting them and that's why he owns the show "In gura presei". In the movie "Milionari de weekend", Mircea Badea's role is a TV Star with a lot of indebtedness to dangerous people. His girlfriend role is no one else than Kitty Cepraga. Another important role is played by Oreste who is Mircea's best friend and in the past they both had a TV Show on Antena 1. Oreste's role in the movie is Fane Satar - a local mob. The soundtrack of the movie is played by Parazitii - a Romanian hip-hop band. - He is a very humoristic person. - He can't stand foolishness. - You fight the samurai style with a samurai opponent and you fight evil with the evil ones. - I can't stand alcohol.